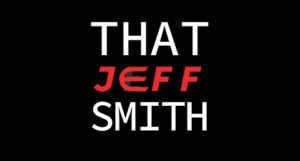 I’m Jeff Smith, and you are visiting https://www.thatjeffsmith.com. Nothing – basically. However, if you leave a comment, then WP will collect and store your IP address. If you leave your real email/name with a comment, it will be stored in a MySQL table – and others will be able to see it. I use Google Analytics. Via cookies, it’s able to track anonymously how visitors use and interact with my website. We use the information to help us improve the website. The cookies collect information in an anonymous form, including the number of visitors to the website and blog, where visitors have come to the website from and the pages they visited. Google’s Policy. Google Ads – I use them to help pay for the costs of running this site. They’re personalized – YouTube know who you are via cookies. You no like? You can disable this across your ENTIRE Internet experience. And finally, YouTube. I have a channel, and I embed videos here. Clicking on the videos to launch the player will probably result in more cookies for your browser. See here for details. Freaked Out or Not Happy? If you want a comment deleted, drop me a note. If you want dropped from my Feedburner Subscription, drop me a note. If you want me to delete emails you’ve sent to me – no worries, as soon as I reply back, I delete them. One last thing – if you ask me a question, I will frequently write a blog post to answer it. I will sometimes include your original question, including your identity. I generally only do this when I sense it’s OK – as in, I know you and we have an existing relationship. If this freaks you out, ask me your questions, and include the request – please don’t out me directly if you answer this via a blog, tweet, or video. Remember, I’m here for one reason – to help YOU. Well, and also because I can’t remember stuff, so I need to write it down.